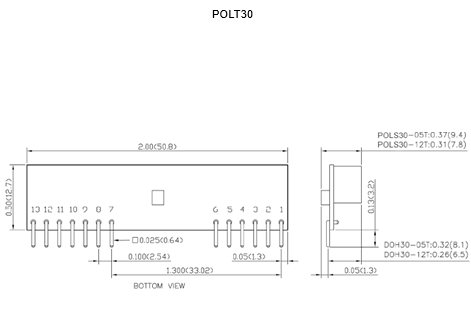 The POL30 series of DC/DC non-isolated open frame converters offers up to 30A output current in a compact and low profile package. 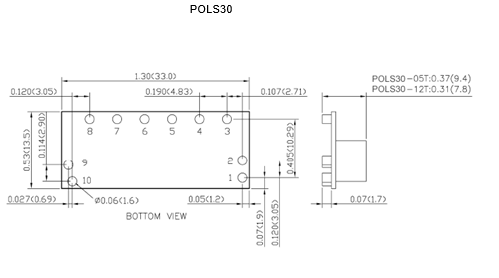 This series consists of single output models and input voltage ranges of 4.5~5.5VDC and 6~14VDC. 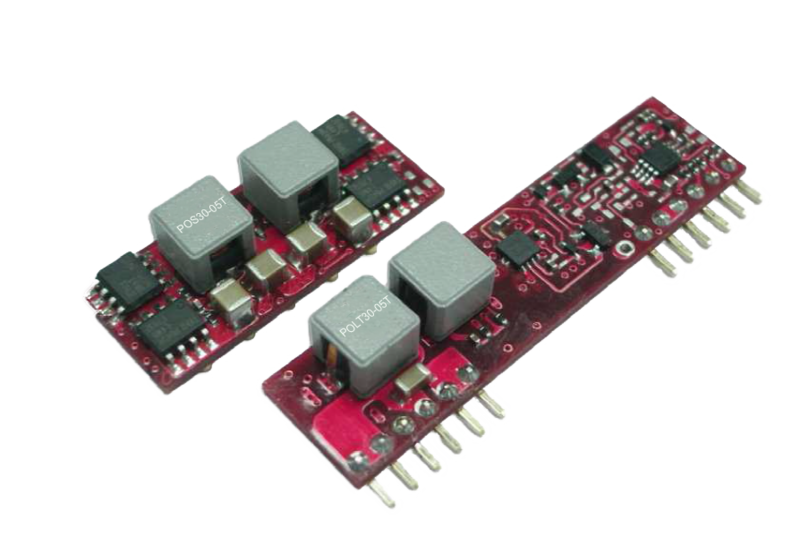 Several different options are available for this series including SMD or SIP package, positive or negative logic, current share, and different pin options. Each model in this series is CE marked, compliant to RoHS II, and is protected against over load, short circuit and over temperature conditions. This series has UL60950-1, EN60950-1, and IEC60950-1 safety approvals. Notes: 1. To make sure the module is stable, it is necessary that input external capacitors minimize input ripple voltage of the module. 2. Output voltage programmable from 0.8V to 5.0V by connecting a single resistor (shown as Trim Table) between the Trim and GND pins of the module. See data sheet for equation. 4. Selecting current share function may cause regulations to not meet listed specifications. CAUTION: This power module is not internally fused. An input line fused must always be used.